Thank you kindly for the introduction, Reinhold. I should add: my marathon dream is still very much intact. 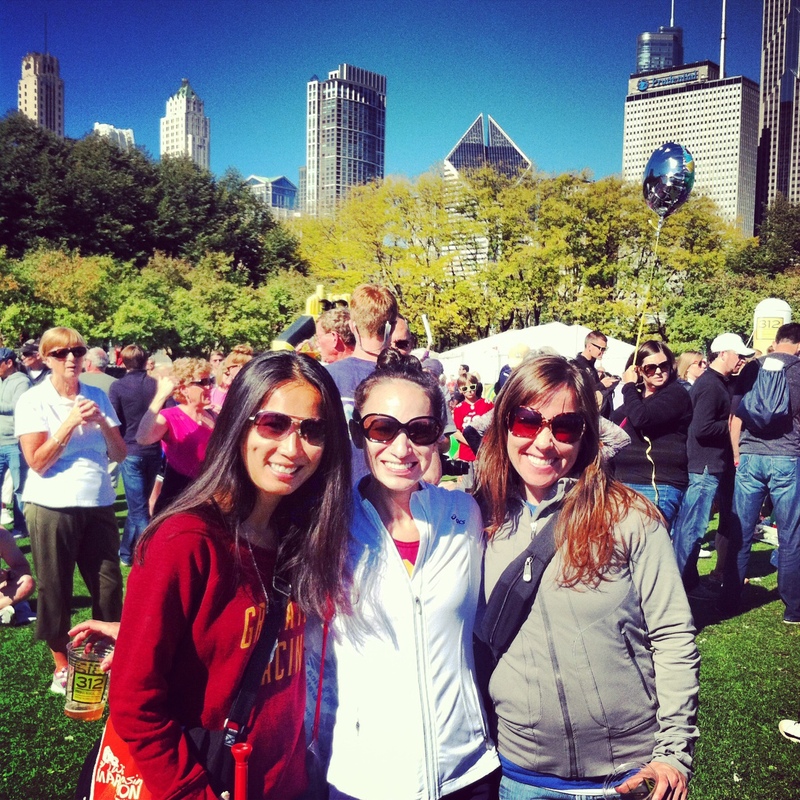 The Chicago Marathon was a beautiful race on a day made for marathoning. The conditions were ideal, and I lined up feeling confident. My mind was there, as were my lungs and heart. I stockpiled determination and trusted my training. Why, then, did my body not cooperate? My training for this race had been a welcomed challenge. Under coach Kevin’s guidance, I increased my mileage and speed. I got stronger and faster than I expected. 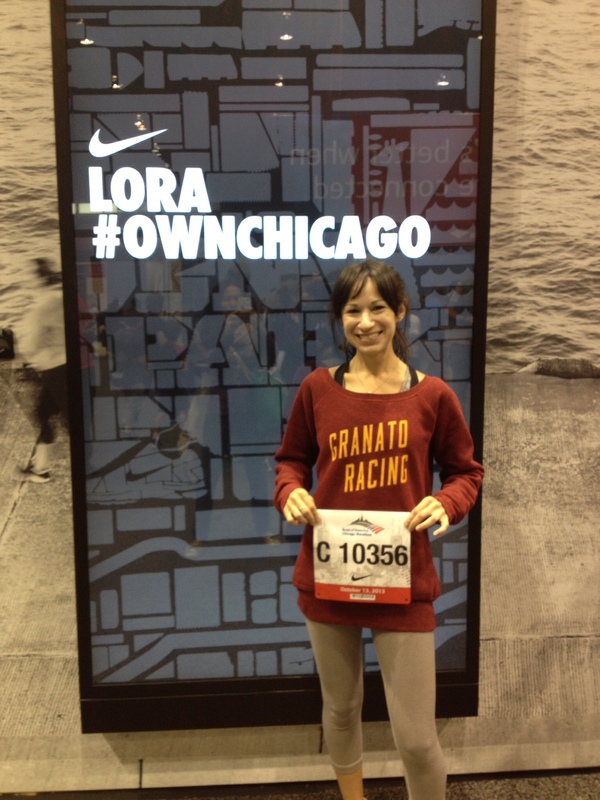 We’d set a high-level goal at the start of Chicago training: sub-3:40. That would take care of my Boston Qualifier. In the weeks that followed, I took the BQ pressure off the table. I told myself: just train the way you’re told, and run your time. Boston will simply be a by-product achievement. Until then, don’t think of it. Throughout training, Kevin kept refining my target paces. When I received my final race goal the week before Chicago, there was no panic or doubt. I trained for this. All I needed to do was execute. On race morning, I slipped to the front of my corral. I could see the start line, meters ahead, and felt at ease. My mind was calm and well-prepared. This was a significant change from how I’d felt during Eugene Marathon, where negative thoughts derailed me at mile 19. For Chicago, I trained mentally as much as physically. To push through hard workouts, I pictured that finish line. Muhammad Ali’s words swirled through my head, “Don’t quit. Suffer now and live the rest of your life as a champion.” I embraced the challenges of training and used them to harden my resolve. Pace – know the plan and stick with it. Form – relax, especially in my arms and shoulders, despite fatigue. Nutrition – fuel with UCAN at set intervals to maintain even energy. Push – accept the inevitable pain and hustle through it. I was quite pleased with my pacing. Trying to maintain 8:10 min/mi pace felt challenging six months earlier. Suddenly running sub-8 minute miles (7:50-7:40 range) felt comfortable. My breathing was even and I was in-control. With the race broken into three segments (see Target Paces, above), I aimed to stay close to the prescribed pace ranges. According to my Garmin, I was there. I conscientiously held myself back in the first 13 miles. My pace felt easy as I stayed present in the moment. 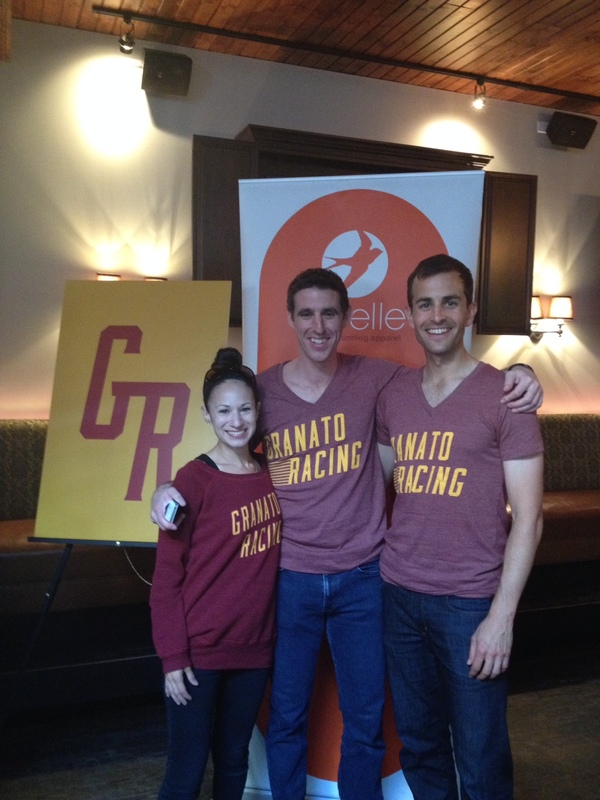 I was excited to see friends and fellow Granato Racing teammates cheering along the course; with each adrenaline rush they provided, I quickly returned my focus to the race. My plan was to fuel with pre-mixed UCAN gel packets at three points during the race: miles 8, 15, and 22. 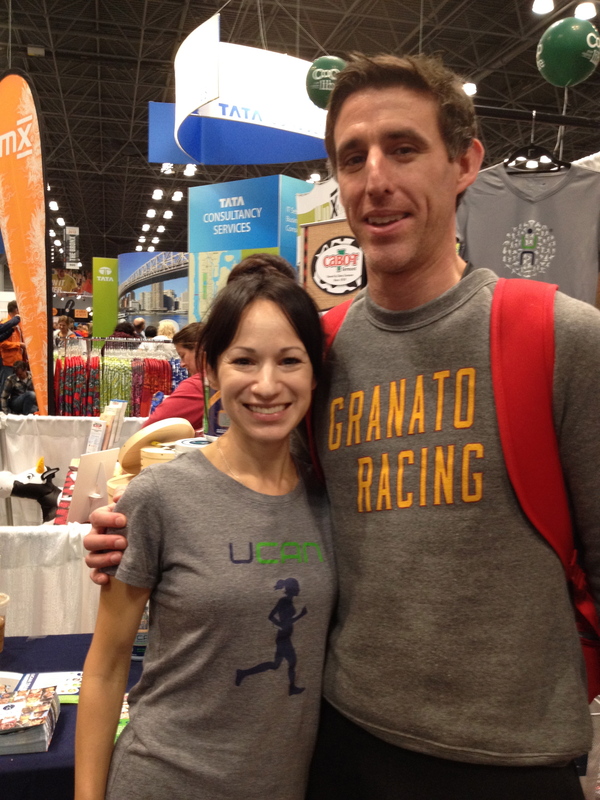 I’d drank two chocolate protein-enhanced packets of UCAN 30 minutes before the start. The gel packets (cleverly stored in small resealable bags secured from The Container Store, per Brian’s suggestion) were tucked into the waist band of my race briefs and one in my sports bra. At mile 8, I easily consumed a gel and continued on. As mile 13 approached, I lowered my pace. Kevin was along the course – near mile 13 – to check on me. I gave him a big thumbs-up. I felt great and was moving right along. After seeing Kevin, I rounded a left turn along the course. This is when my race began to unravel. A sharp pain flared up in my right foot at the 14-mile mark. I could feel it radiating from the top, middle. This was familiar and discouraging territory – having experienced similar during the Pensacola Marathon. I grappled with staying on-schedule. I fueled again at mile 15 and tried to maintain pace, but the pain worsened with each foot fall. Within the span of a mile, compensating for the pain had completely compromised my gait. At mile 16, I pulled off the course at the medical tent. Medics massaged, wrapped, and iced my foot. They were compassionate and worked as quickly as possible. They eventually gave me the option of running to the next aid station, two miles further, to test my foot. I decided to try: I didn’t want to drop out of the race. With my right shoe back in place, I ran two steps out of the aid station and knew I was done. There was no way for me to endure the impact of running on the injury. I limped back to the aid station cot. I watched runners journey onward as a medic registered me for the bus back to the start village. Despite intense disappointment, I felt oddly at peace with the unfortunate outcome of this race. Even if I could have hobbled my way through the last ten miles, that was not my goal. I didn’t want to simply finish another marathon. My goal was to get that 3:23-range finish time for which I’d trained. There was no point furthering the injury when my race-day opportunity had pulled off the course with me at mile 16. 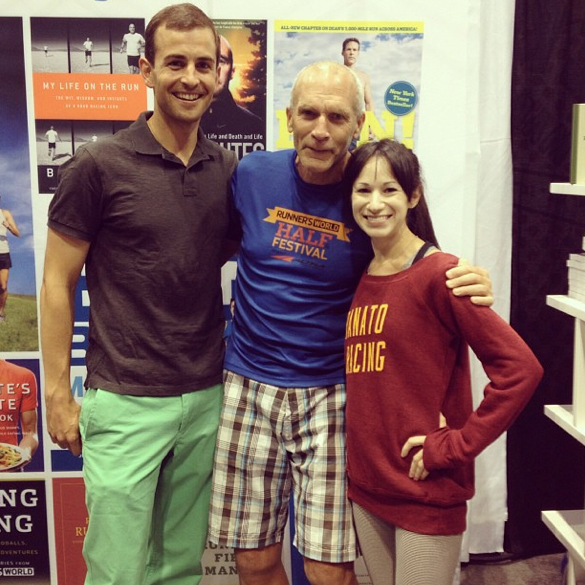 Speaking to other runners who’d also dropped from the race helped provide perspective. Injury and having to drop out of a race sometimes come with the territory. It can happen to novice and veteran runners alike, and the rest of us in-between. Many times, the injury could be much, much worse. I couldn’t change the outcome of my marathon that day; instead, I decided to focus on some much needed mental and physical recovery time. With that, the chapter closed. People say, “Go big, or go home.” I suppose a World Majors Marathon was a stage large enough to experience my first DNF or, Did Not Finish. I see it as a rite of passage, in a way. It’s just not a pleasant one. When I returned to New York City, I sought a foot and ankle specialist with a sports focus. An MRI confirmed: stress fracture at the base of the third metatarsal in my right foot. The doctor ordered a battery of other tests, including blood work and a bone density evaluation. All results are unknown at the time of this publication. 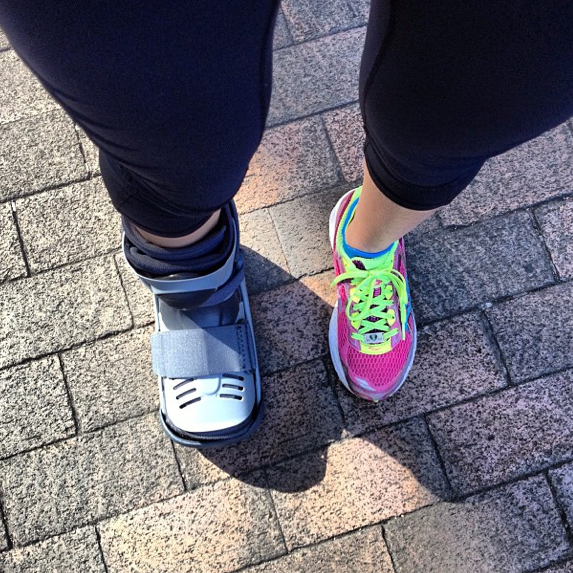 The immediate goal is to determine the root cause of two stress fractures within a year, and prevent them moving forward. Since I intend to keep running – and training hard – it’s time to figure out what I need to run healthy from here on out. In The Last Lecture, Randy Pausch said, “Experience is what you get when you didn’t get what you wanted. And experience is often the most valuable thing you have to offer.” No, I may not have smashed my goal in Chicago, but I sure as hell gained some valuable experience. Reading about fall marathons that didn’t quite follow the plan makes me so nervous to train for my first one, but reading posts like this with a positive spin on it and a way to close the chapter and move on, makes me hopeful that no matter what, it really isn’t the end of the world. I wish you luck in finding out what’s the root of the problem! Hopefully it isn’t something that’s too detrimental and easily remedied. Ugh, bummed for you but its awesome to see such a positive perspective to adversity. You have some kind of fire inside. Hoping for a quick and thorough recovery for you!